I’ve been waiting two months to unveil this group, which should interest any fans of Anne Rice’s works. 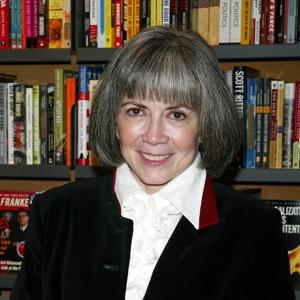 While Anne Rice’s Facebook page is filled to the brim with enlightening conversation on a slew of topics ranging from metaphysical subjects to political ones, it is sometimes hard to have an organized discussion about Anne Rice’s books, or have follow up discussions about books. This page is not meant to be something that replaces that page. It is something entirely different, and is much more focused on her books and any recommended books on her page. This page would exist, even without the Anne Rice Facebook page. Due to the rich conversations that Anne Rice’s page foster, I felt that this page is even more appropriate than ever. I hope no one views this negatively or cynically. My bigger concern lies with a lack of interest, and that is why I am carefully organizing questions and future selections for this specific group.